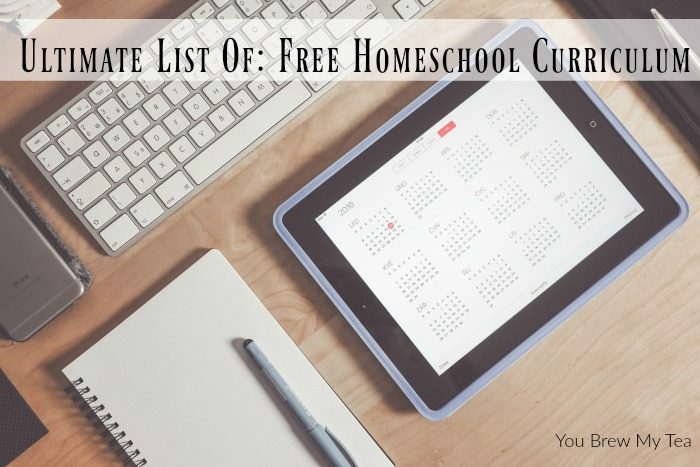 As someone that has always been on a budget in regards to our classroom, this list of free homeschool curriculum is definitely an amazing place to begin. With dozens of options for great things like unit studies, printables, and complete lesson plans, you can’t go wrong with beginning here. Free homeschool curriculum isn’t what it used to be. It isn’t just a handful of suggestions and 2-3 printable items. You can, very easily, in fact, create an entire education using some amazing online resources. I admit, I love grabbing anything free to supplement our choice of purchased curriculum, but when money is tight, we have worked with just freebies and our son hasn’t gotten behind yet. 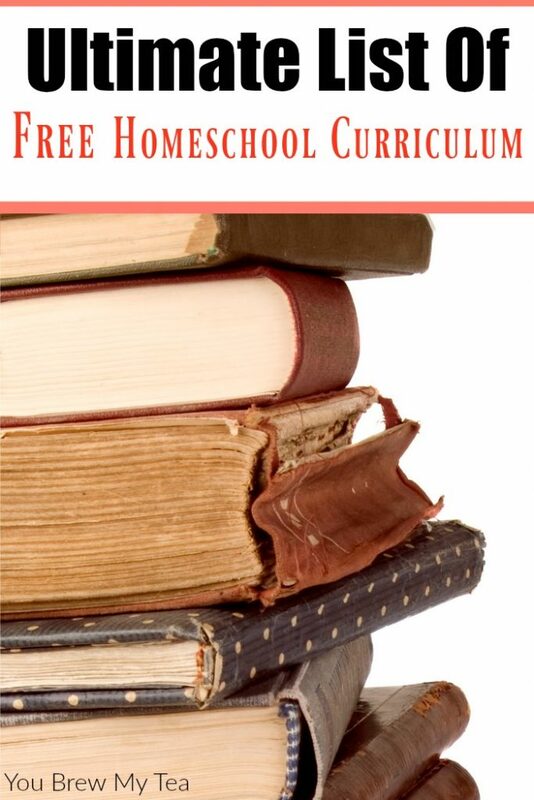 Utilizing free homeschool curriculum is not only budget-friendly, it is a great way to see what is out there that may not be included in your traditional curriculum packets. We have really loved finding fun new learning concepts, as well as some more in-depth studies on subjects we find of interest. Easy Peasy All In One Homeschool – This is one of our favorites since it is truly a complete curriculum. At the time of this post, it includes preschool to 8th grade, but there is also a complete high school option in the works. Donna Young – If you are a fan of the Charlotte Mason style of education, this is an ideal place to find ideas, lesson plans, tutorials, and many resources. Starfall and ABCYa: I love these two sites for the first few years of review. They both offer basic learning for preschool to 2nd or 3rd grade. They really helped our son with his early letter and site word recognition as well as basic mathematics concepts. Scholastic – If you are raising a reader like we are, then this is a great place to go for lesson plans around specific books. I love taking a book he is already enjoying and making it into something that can be used as an educational tool. Discovery Education and PBS Kids – These are both associated with their related television channels and networks. They offer tons of great lesson plans, videos, and additional resources to go alongside popular shows. If you are using television in your homeschool classroom, these are great resources. Homeschool.com – In the past I have written a few articles for this site and their monthly online magazine. There are tons of great resources and tips on other types of the curriculum here. Definitely a site to bookmark for thousands of free resources and ideas in one location. The Notebooking Fairy – I have never done notebooking with the Wee Child, but many love the concept. This site is a great place, to begin with, I believe, over 100 options and ideas to begin. Ambleside Online – While I have never used this site, I have heard and read great reviews on the Charlotte Mason style lesson plans and ideas available. Definitely worth checking out and adding to your routine. Teachers Pay Teachers – If you are looking for printables and lesson plans, this site offers both freebies and paid products. Watch for regular sales and promotions to grab the freebies when available. Since most of these come from teachers in traditional schools, they often have concepts and ideas that fit seamlessly into your regular curriculum. If you are looking for some religious based curriculum ideas, The Puritans Network ,ABC Jesus Loves Me, Mater Amabilis are all pretty cool sites with unique takes on education from a Biblical or religious standpoint. Dad’s Worksheets has tons of great Math worksheets that are free to use. They offer amazing options for multiple ages and needs, and are really easy to follow. Khan Academy – I think this free homeschool curriculum is probably on the top list for most parents. Khan Academy covers mathematics in detail but is also branching out into other subjects. Tons of great online review options, printables, and tips. If you are looking for great math drill, reviews, or lesson plan ideas, take a look at Math Aids, Understanding Algebra, and Math A Tube. All offer various levels of mathematics curriculum to browse and use in your homeschool classroom. For science related lessons, we use the free homeschool curriculum offered by MIT, Think Earth, and NASA for Kids. I have also seen stellar reviews for Science 4 Us, Supercharged Science, and Jason. If programming or coding are of interest, Code Academy is a great choice. Since we do a lot of traveling that also brings us near the National Park Systems, we use their site for fun facts about the different national and even state parks we encounter. You’d be surprised at how much free curriculum is offered at visitors centers across the nation. History is one of our favorite subjects, and we often find that it coincides with science since many scientific discoveries are a part of our world history. We like to combine the two by taking the time to use things like History Channel documentaries and breaking them down into smaller shows so we can pick apart the technology and such mentioned to study them closer. This was especially helpful when we studied about World War II last Spring. Other great history resources include the following sites: Civil War.org, iCivics, and Mission US. One of my least favorite things to teach is actually Language and Grammar. While I do okay on my own, teaching someone else the concepts just isn’t simple for me. I definitely prefer to use a traditional curriculum, but for free homeschool curriculum supplements, these sites are ideal. 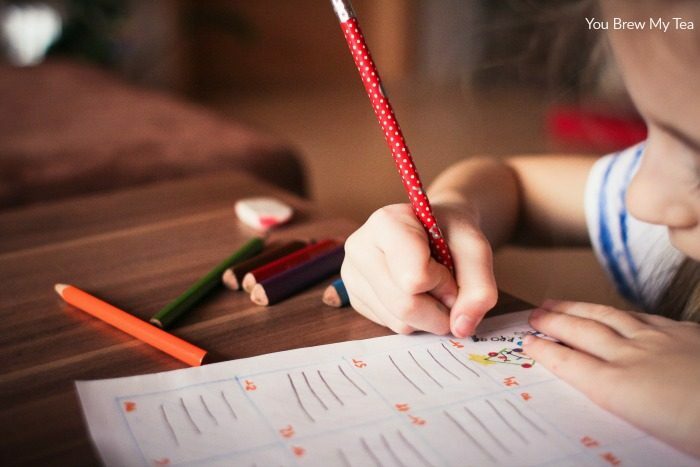 I have been using Handwriting Worksheets since the Wee Child was only 3-4 years old. It is literally one of my favorite free homeschool curriculum resources since I can create so many different types of pages for him to practice spelling, handwriting, and vocabulary. Another resource we often encourage him to use is the Typing Tutor. We realize how important that will be for him as he gets older, so we have started early. As I grab and use the various free homeschool curriculum, I have begun taking notes in my lesson plan journal of where they came from so I can easily access them again later. There are tons of great ideas for homeschooling and finding free curriculum. This is just my favorite list to begin. As a homeschooling mama going on my 11th year, I can say that this is a great list of free homeschooling curriculum! I am pretty sure we have used each one listed in some way, shape or form. Another one to add to the list that we use a lot is Discovery K12. ( discoveryk12.com ) We use this one mainly for now and add things in as needed. Thanks for sharing this list! This is a great list of resources. I have been wanting to write up a post like this one, but you beat me to the punch. It’s wonderful! You even added sites I didn’t know about.